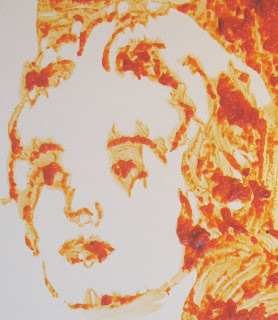 tippi hedren made from red pepper dip. this in no way implies that i find tippi hedren to be foolish. I think this is my fav Hitchcock leading lady S&F, although Hedron is not my fav Hitchcock heroine. hey, you guys! it's a week full of goonies!